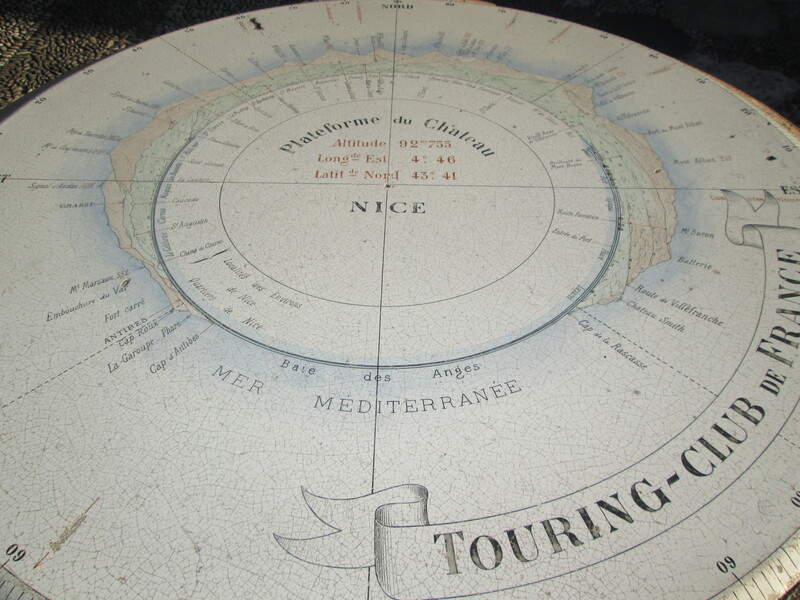 Nice was an Italian city until 1860 and attracted famous guests and artists over the centuries which helped it to become the largest resort on the Mediterranean coast today. At first my senses were confused by the city and its salty air, which drives you to immediate thirst. Nice airport is an easy reach to the city with the frequent bus line 99 taking you to the center of the city. The city center, promenade des anglais, Colline du Chateau and all the other touristy spots are in a pristine condition of shabby-schickness. I word I think gets grossly over used today. Truth be told, my senses were in a blur and not because of my eight-hour lay-over, but because of the fact that all the big old grand hotels on the beach front seemed to be frozen in time, probably the 1920s. Some of the buildings and hotels in the city are truly rundown and stretches the definition of ‘shabby-shick’ to a very thin line. A late night out ended up in a 8 km walk in the wrong direction and as soon as you leave the beautiful ‘Old Town’ or tourist areas, the city tends to get down right shady. The huge apartment buildings are in bad condition with scary immigrant-like characters eyeballing the odd young female tourist walking in the wrong direction. I guess no harm will come to you if you stay inside the tourist areas (and don’t get lost). THAT said, if you do Nice the right way, you’ll have a ball and probably an empty pocket to prove it. Starting off down the famous avenue Jean Medecin, you can have your pick of high-end shopping and stop by the Cathedral while you’re at it. 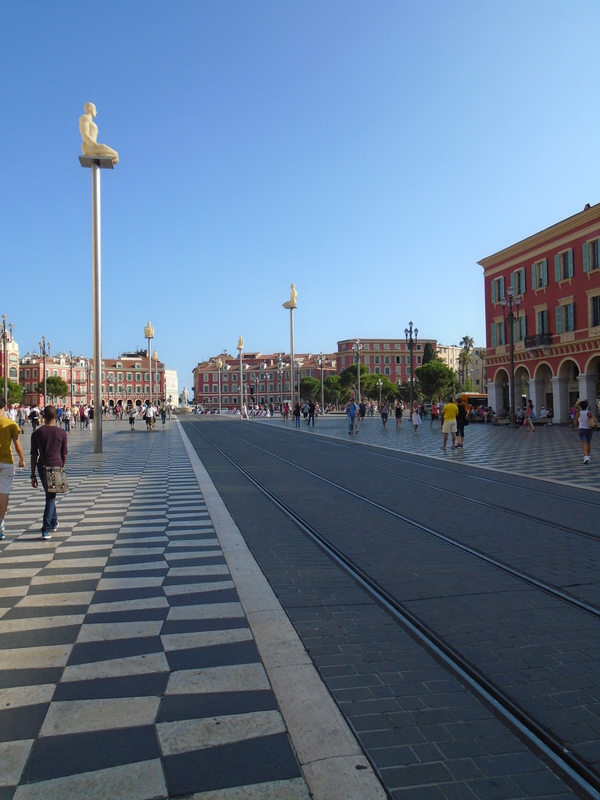 Eventually you will reach Place Massena which resonates of pink colorfulness, water mist fountains, strange statues that light up at night and cute tram lines. Once you turn off into the old town you’ll find Cours Saleya, the old flower market. 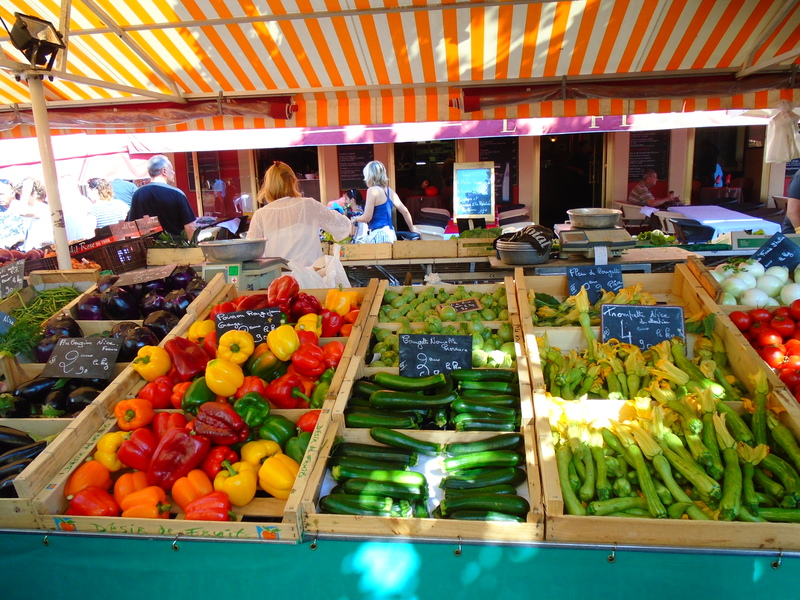 High quality fresh produce is sold here but like most famous markets in Europe, it has also become a tourist hot spot. So go very early to miss the crowds. 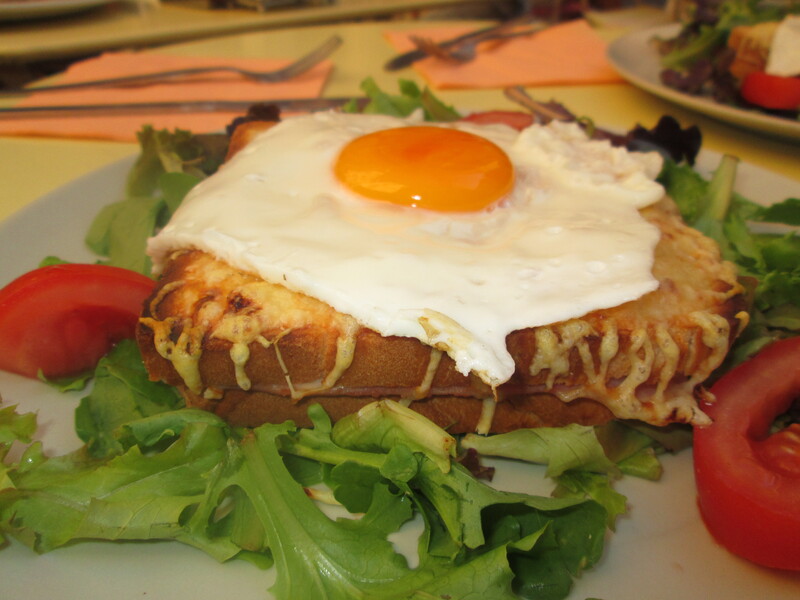 Once finished at the market you can head down to the beach for a swim, tan and picnic or have a Croque Madame before hiking up the mini mountain to the Colline du Chateau and some of the best views of the city. 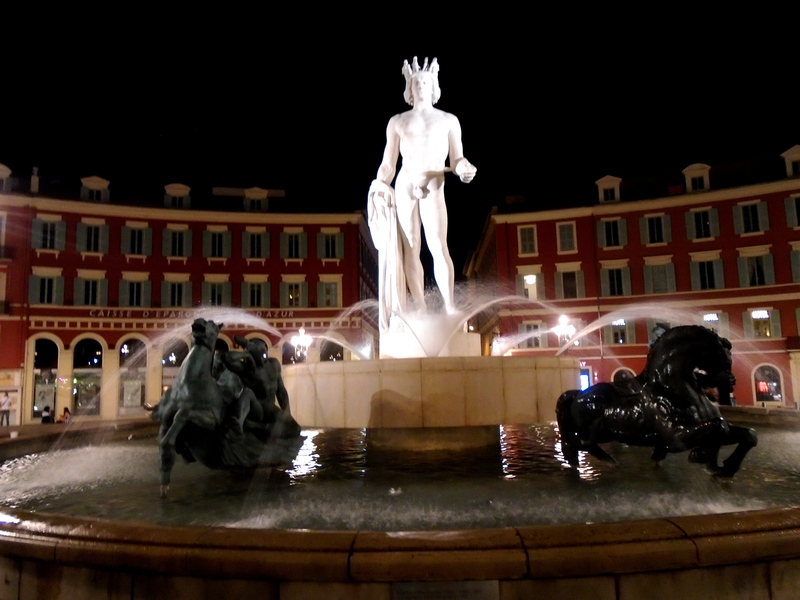 Old Town Nice is great to explore at night. Around every corner there’s a hidden Place brimming with small restaurants and bars just waiting for you to indulge. You can stretch out your Euros by starting around 19h00 while it’s still light out and most bars have their happy hours going on. Depending on your budget, you can go out for a glass of southern rose or a delicious seafood meal served on ice/cold with nicoise sauce. 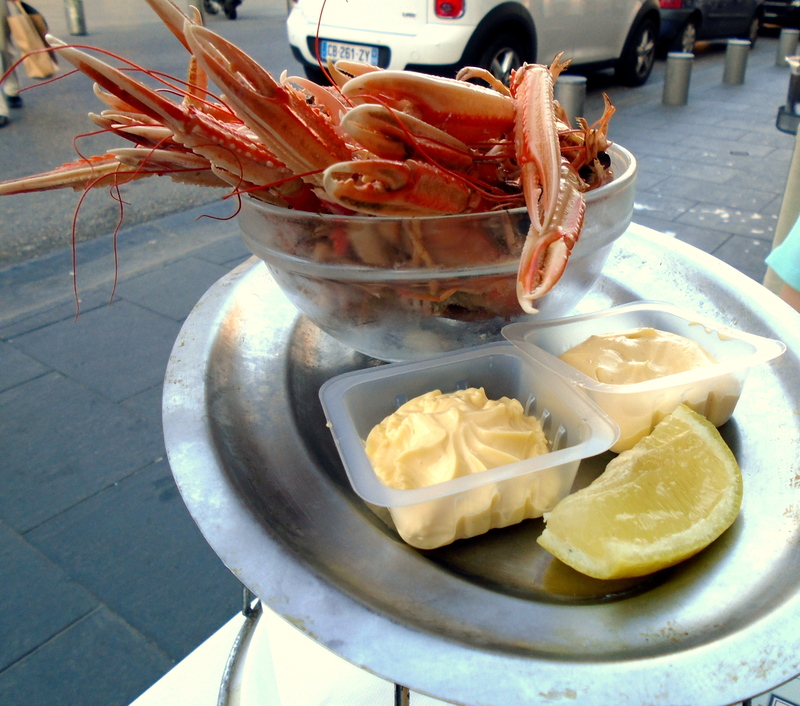 Believe me it’s quite strange ordering Queen Prawns and having them arrive cold, as per custom at the famous Cafe de Turin on Square Garibaldi. 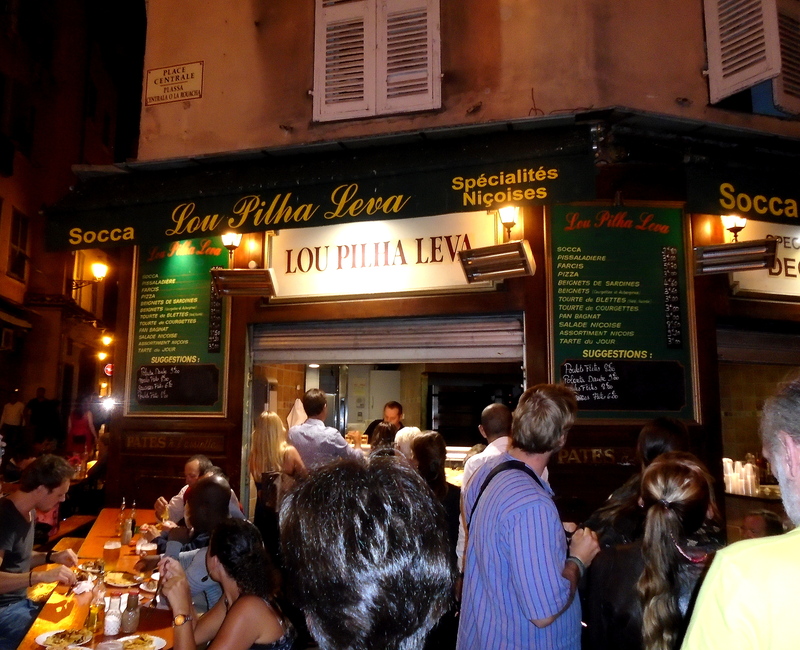 You can spend hours getting lost in the secret streets of the old town and when your dime runs low you can have your last stop for Socca, the Nice chickpea crepe and beer. 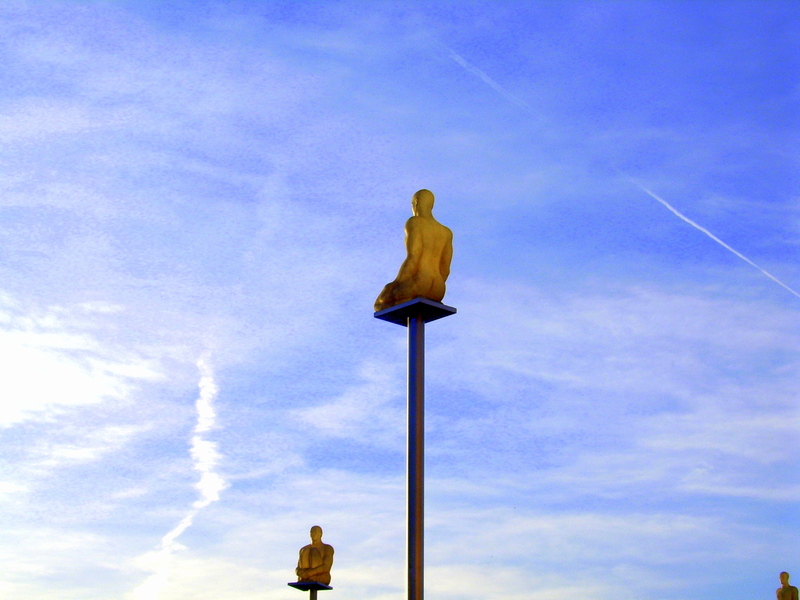 If you’re up to it you can go out to one of the lavish night clubs otherwise just make sure you’ve got your direction straight so you can once again reach Place Massena with its statue men now flashing in bold color. If you do not prefer the sun and lazy beach days you can go on the hunt for the art trail of the Riviera and visit the Chagall Museum, Matisse Museum, Museum of Modern Art or Palais Lascaris. 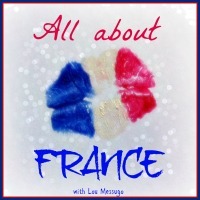 There is also lovely day trips to take to Monaco, Cannes, Eze, St.Paul de Vence, Menton etc. 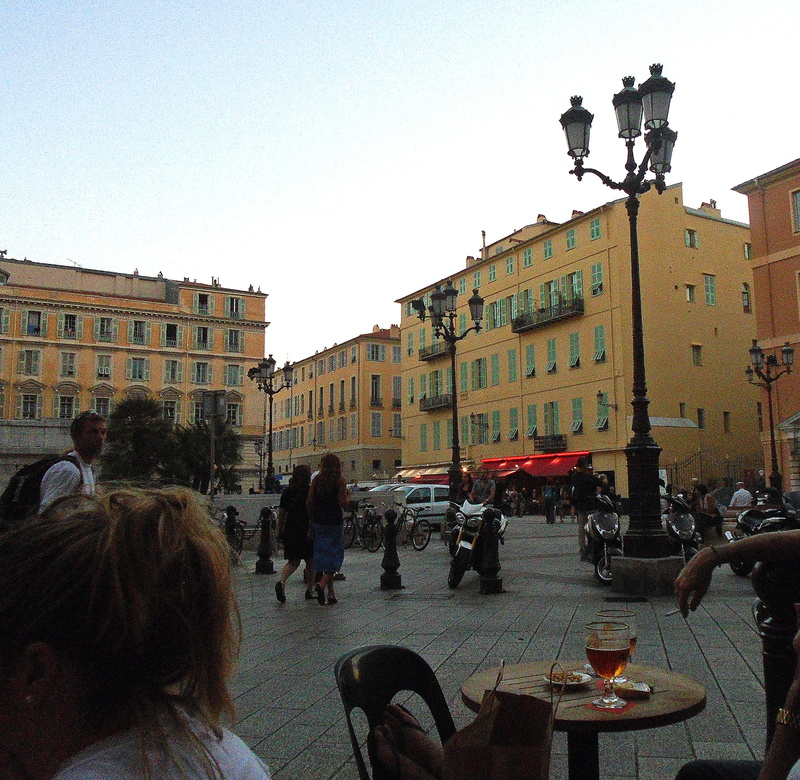 Nice is a city with an old world flavor stuck to it in a weird way. There’s so many different types of people in the city that you’ll never feel out or alone. 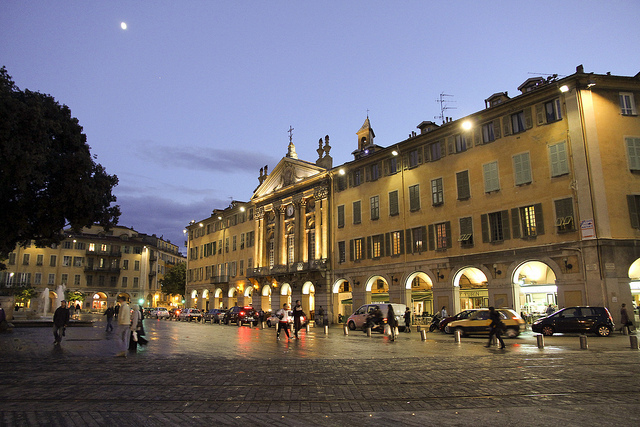 The old town and tourist parts are expensive and you will have to seek out the places where the locals go. Shop for delicious prepared food and snacks and the best french wines at affordable prices at the lovely Monoprix in the main shopping street. If you do want to go off exploring into the unknown out of the main tourist spots, I recommend making sure you now where you are going, or going with a local friend or someone who can speak french well. Nice city is lovely but like every big city, it has shady spots that at times made me really uncomfortable and that is saying something coming from someone living in Africa. You can download this article for free to read later on the GPSmyCity and you can upgrade your download to an interactive map of the places I mention in this post. Click here or on the banner in the sidebar. Beautiful photos and post! Would love to travel to Nice! I wish you get a chance to go! There’s a lot of opinions out there about the Côte d’Azur, but it’s best to decide for yourself 🙂 Thanks for reading! Your photos are just exquisite ! Nice work. Will enjoy the follow. 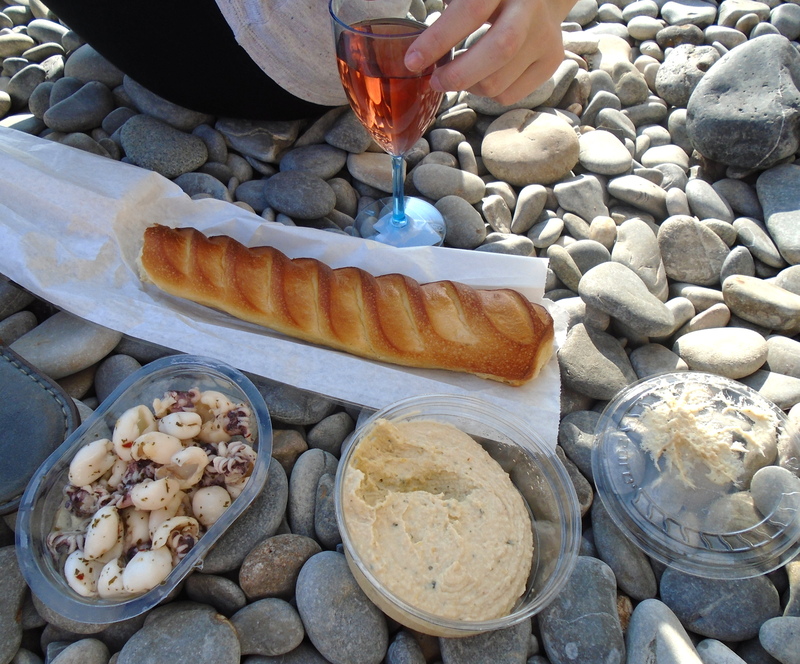 Love this post, I’m heading back to Nice in a couple of weeks and can’t wait! Thanks! I hope you enjoy your trip 🙂 Nice is a fun place to be! 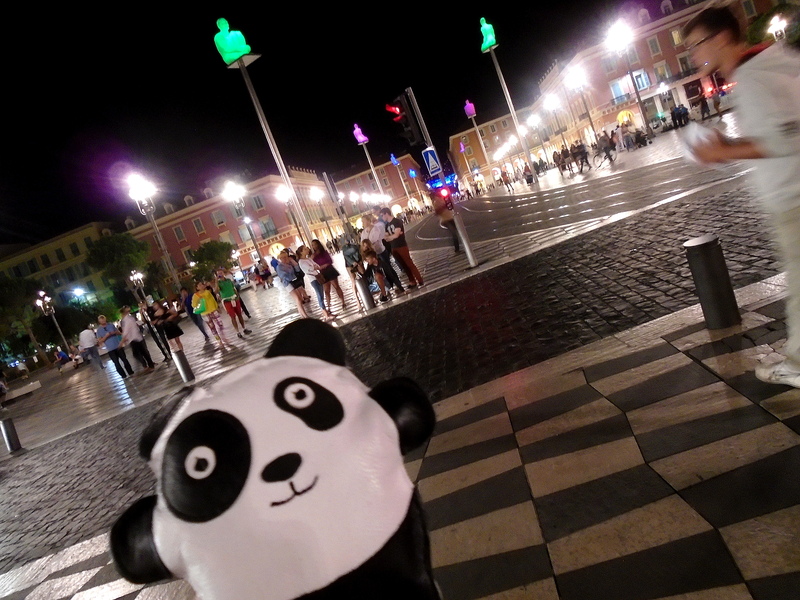 Hi I love Nice and loved travelling through the city with your photos. Thanks for sharing. Beautiful photos that showcase the variety of the city. Nice post. Thank you! I’m glad you enjoyed my post. 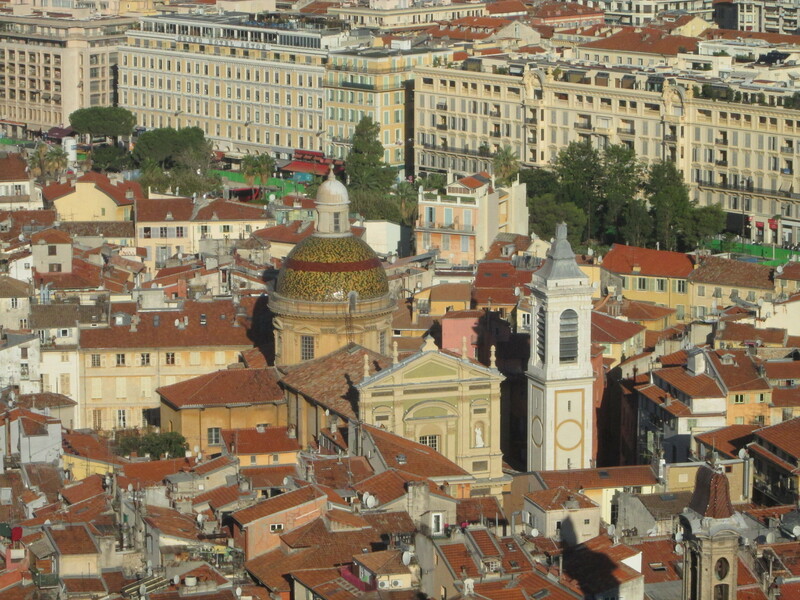 Nice has something for everyone to enjoy. Very interesting info and fabulous photos. I must have visited Nice with my parents years ago (but we are talking the sixties here, so I don’t remember much). I hadn’t realised that it is France’s 5th biggest city. A lot to rediscover there, clearly.